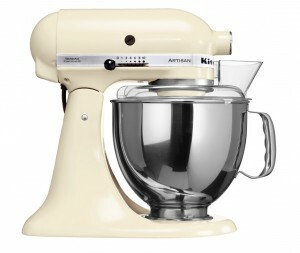 It might not have the sexiest name but KitchenAid will certainly get people talking. Renowned for its place on popular cooking shows (not least the BBC’s Great British Bake Off), this product has been in the market place for nearly 100 years. At just over £400 you may wince at the price, but believe me, it’s worth it. More than just a mixer, the KitchenAid Stand Mixer will whisk, beat, and knead, and if you add one of the attachments (purchased separately) you can make pasta, stuff sausages, slice, dice, shred, juice, grind, and strain! There is also an attachment which works as a grain mill, a can opener attachment, and an ice-cream maker. Wow. 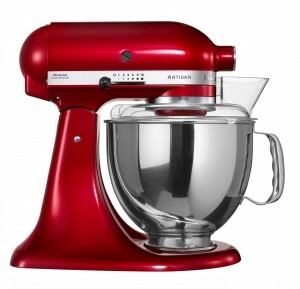 But it’s not just what the KitchenAid mixer can do which makes it an ever popular kitchen accessory, it also comes in a staggering 26 different colours. 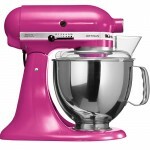 KitchenAid say they have created so many colours because they are ‘deepening the emotional connection between our products and our customers.’ Everyone has a favourite colour so it stands to reason you may want your mixer in a certain colour: to match your kitchen, your life, or your personality. Buying a KitchenAid Stand Mixer is an investment, and one that you would expect to use quite a lot, if you do a lot of cooking and baking. But once you get one, you’ll wonder how you ever lived without it. 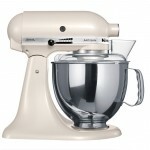 baking, cooking, GBBO, Great British Bake Off, KitchenAid, KitchenAid stand mixer, stand mixer. Bookmark.